Thanks for posting this. Having to manually add the path to the runtime libs was a good tip. When I get some time, I will try to build an example on Ubuntu with Code::Blocks too. It turns out this step may not be necessary after all. I suspect that I unintentionally deleted the libbrx11.so from the main Bricscad folder while I was experimenting (probably thought I had copied it there manually, then removed it thinking it didn’t belong). It is included in the .deb file, along with the other files in /lib. 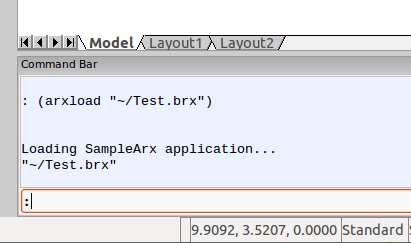 Anyway, after I put libbrx11.so back in the Bricscad folder, my .brx file loaded fine without the additional path. 1) Did you try BricsCAD Pro or Classic? 2) Did you test encrypted lisp files? 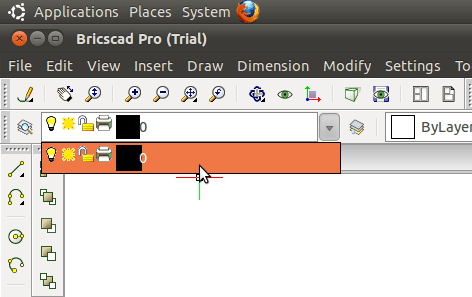 3) Do you think BricsCAD for linux can eliminate 100% Autocad and Windows of the Offices ? Pro, No, and No. Bricscad on Linux will be suitable for some tasks and some offices, but it will require Linux expertise. Are you successed build a Linux BRX module in Windows using the Visual Studio 2010 IDE now? No, I never could get it working, and eventually gave up. I hope to try again when I have time.